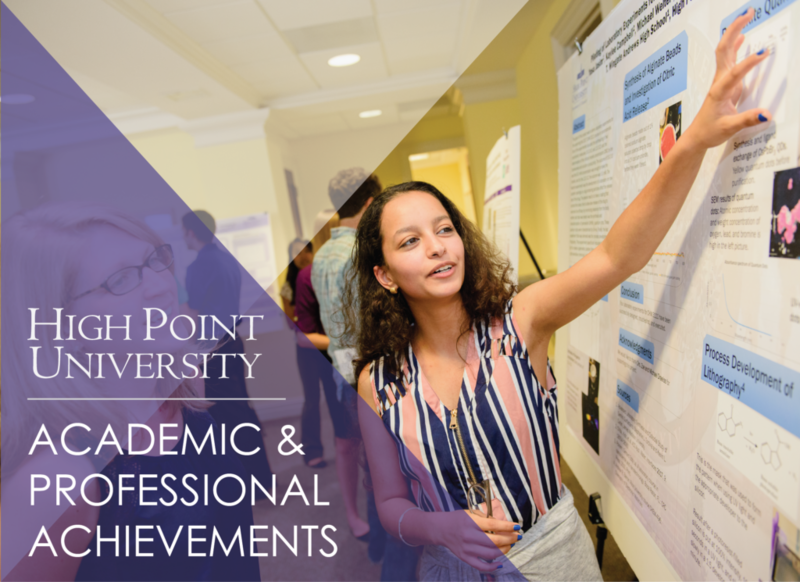 HIGH POINT, N.C., April 26, 2018 – High Point University faculty, staff and students recently received the following academic and professional awards and recognitions. 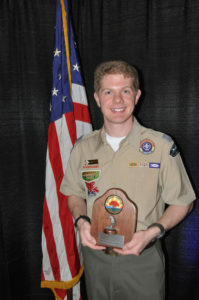 HPU Student Success Coach Bradley Taylor received the Raven Award from the Old Hickory Council of the Boy Scouts of America and the Camp Raven Knob Historical Association. 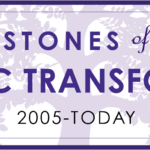 It is the council’s highest award, presented to recognize distinguished service, usually over a long period of time, in the preservation of scouting history. Taylor, the award’s 20th recipient, is a key volunteer for the National Subcommittee on Recognitions, Awards, History and Preservation of the national Order of the Arrow. This includes serving as Deputy Lead Adviser for Exhibitions at the 2018 National Order of the Arrow Conference Goodman Edson Observatory at Indiana University. He is a member of a group designing exhibits for the Order of the Arrow’s space at the new National Scouting Museum at Philmont Scout Ranch in New Mexico, and he is also working on a collection of recorded histories for the museum. He has served as the historical association’s treasurer and a member of the executive committee since 2013, and he continues to be involved in scouting in a number of other ways. PU music students who competed in the state, regional and national competitions of the National Association of Teachers of Singing (NATS), from left to right are Jerry Hurley, Maggie Collier, Emma DiMaio and Corbin Elliott. Four HPU music students competed in the state, regional and national competitions of the National Association of Teachers of Singing (NATS). 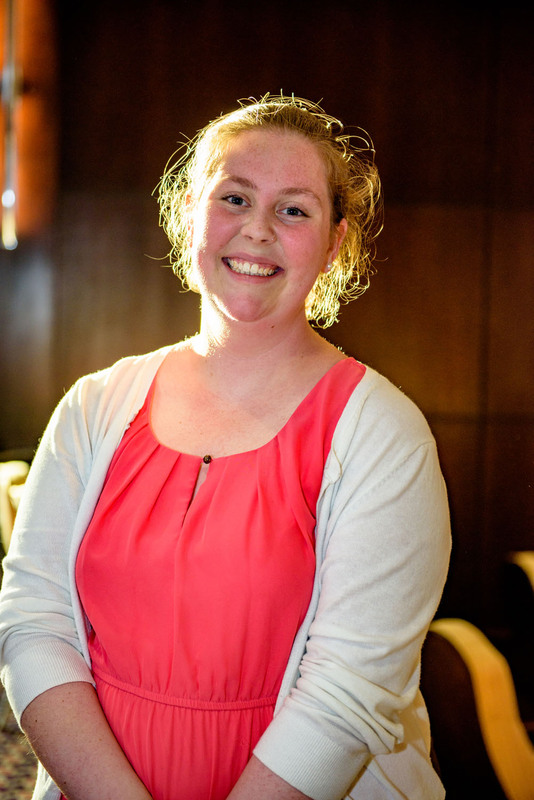 At the state level, junior Emma DiMaio won first place in third-year college musical theatre. Freshman Jerry Hurley won second place in first-year college classical. Sophomore Corbin Elliott won third place in second-year college classical. Junior Maggie Collier earned enough points to advance to regionals along with the other three students. 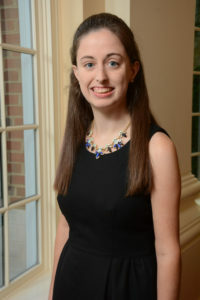 At the Mid-Atlantic regionals, held in Virginia on March 16, DiMaio earned enough points to participate in a sing-off in her category. Hurley received fourth place in his category and will compete by video audition at the national level. Dr. Candice Burrows and Dr. Scott MacLeod instructed the students, and adjunct faculty pianists Susan Young and Dr. Ben Blozan accompanied the students at the competitions. 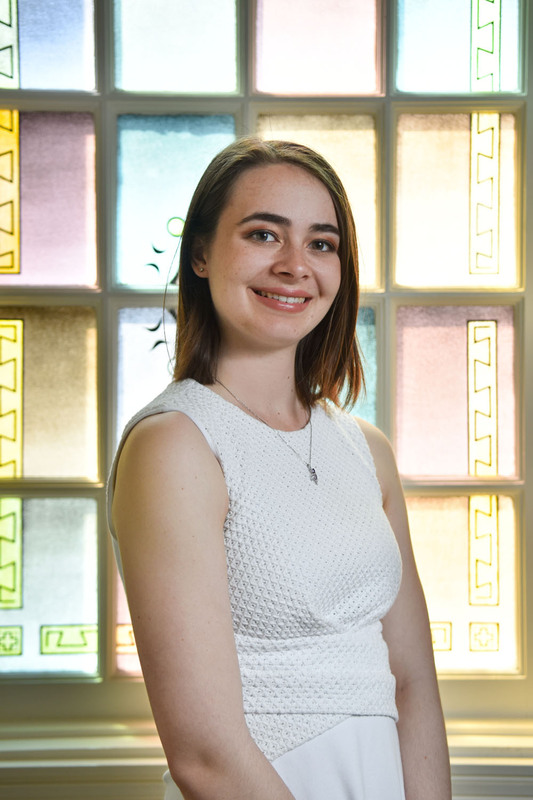 HPU student Laura Carskadden, a junior music major, was selected for both the University of Miami Frost School of Music at Salzburg summer program and the Songfest summer program in Los Angeles. 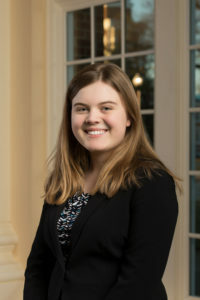 During the Frost program, she will study voice in Salzburg, Austria, the birthplace of Mozart and host of the prestigious Salzburg Festival featuring musicians from around the world. Songfest is a festival and training program that includes masterclasses and performances by major artist faculty. 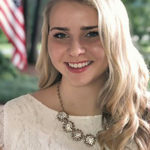 HPU senior biochemistry major Rebecca Ulrich received an honorable mention in the National Science Foundation Graduate Research Fellowship Program. More than 12,000 students applied for the fellowship to pursue research-based master’s and doctoral degrees, with 2,000 being selected and an additional 1,459 named as honorable mentions. Catherine Bakewell and Lilly Wingate, 2017 graduates of HPU, were named alternates in the Fulbright U.S. Student Program for Spain and Malaysia, respectively. As alternates, they are awaiting the possibility of being selected for English teaching assistantships in these countries. Bakewell is currently teaching English in France through the TAPIF Program. Wingate is serving as an HPU VISTA this year. 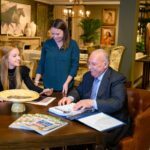 Ashley Odom, an interior design major at HPU, received a tuition scholarship from WithIt, the women’s leadership development network for the home and furnishings industries. The organization provides mentoring and educational opportunities. 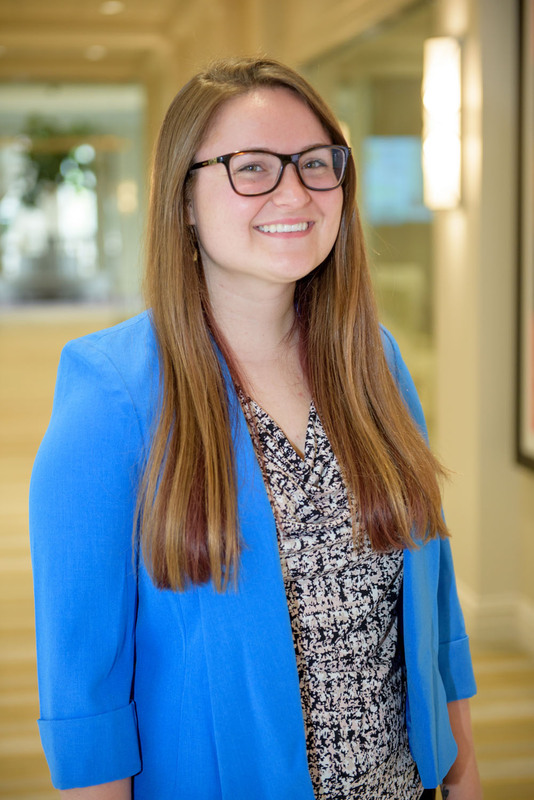 Along with the scholarship, Odom received an all-expense paid trip to WithIt’s annual professional conference in June, where she will be able to meet and network with women from the industry. 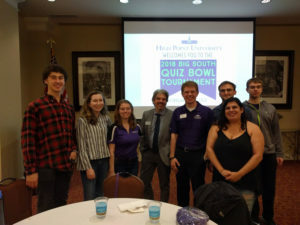 Team members for the 2018 Big South Quiz Bowl Tournament, hosted by HPU, are, from the left, Nathan Grinalds, Addie Singleton, Lauren Herb, co-director Dr. Bill Carpenter, Quiz Bowl team coach Bradley Taylor, Zach Zukowski, Yasmene Dergham and Alex Wirth. The Honors Scholar Program at HPU hosted the 2018 Big South Quiz Bowl Tournament. 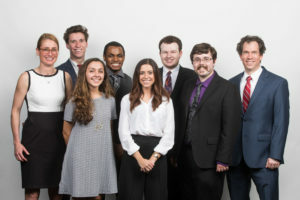 HPU’s team of seven students competed against teams from Gardner-Webb University, Liberty University, Presbyterian College and Radford University. Nathan Grinalds, a sophomore chemistry major, was recognized as HPU’s highest individual scorer. 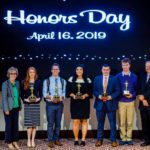 Several HPU faculty, staff and students served as volunteer moderators, scorekeepers and guides, including tournament co-directors Dr. Bill Carpenter, director of the Honors Scholar Program, and Bradley Taylor, student success coach. “The notable value of Quiz Bowl and this tournament is being able to see the connection of knowledge gained from the classroom to engaging with peers in fun competition,” says Taylor, who coached HPU’s team. 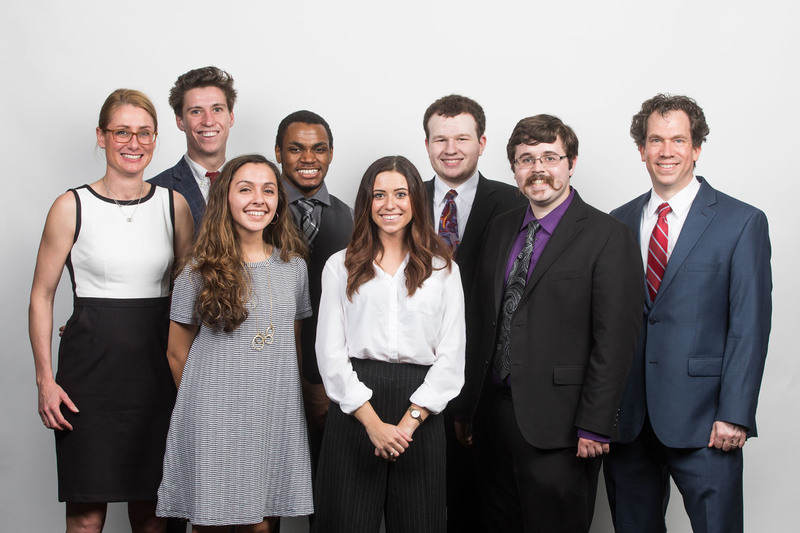 Pictured from the left are Ethics Bowl team members Dr. Amy MacArthur, Jackson Plyler, Lauren Hester, Justin Frederick, Kristen Tolo, Sam Pulitzer, Tate Powell and Thaddeus Ostrowski. A team of HPU students participated in the 2018 Ethics Bowl, hosted by the North Carolina Independent Colleges and Universities at the state Legislative Complex in Raleigh. 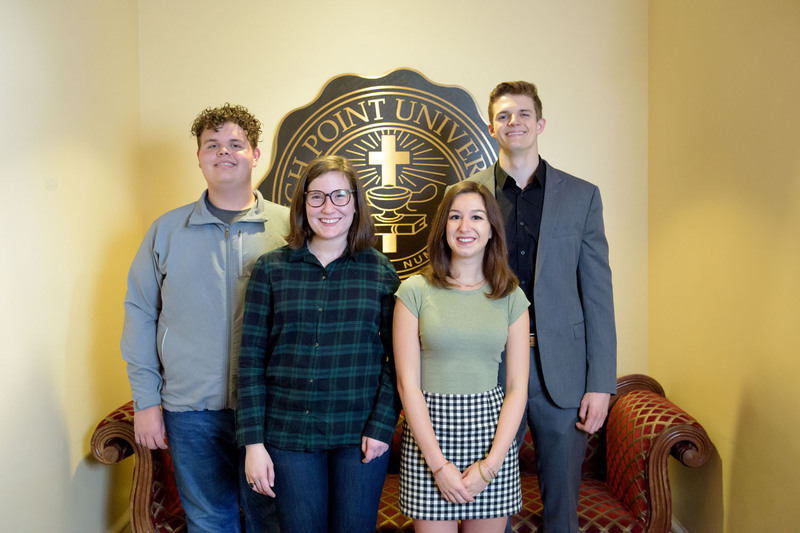 The students, who are philosophy, biology and psychology majors, are seniors Jackson Plyler, Sam Pulitzer and Kristen Tolo, juniors Justin Frederick and Lauren Hester, and sophomore Tate Powell. Their campus coordinators are philosophy instructors Amy MacArthur and Thaddeus Ostrowski. 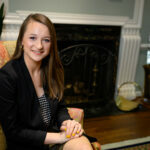 HPU’s team participated along with more than 120 students from 24 colleges and universities on the topic of “Ethics and the Future of Community.” The event prepares students to make the kind of ethical decisions they will encounter in the workplace. 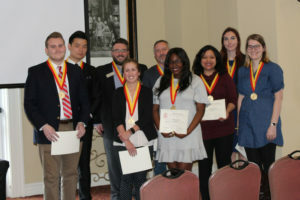 HPU’s Phi Beta Delta inductees are pictured. On the front row, from the left, are Nicolas Davis, Samantha Poole, Macketta Johns, Dr. Veronica Segarra and Emily Judson. In the back, from the left, are Jun Ke, Chris Ferguson, Dr. Mark Toole and Hannah Litchfield. Inductees Scott Raynor, Elisabeth Holt and Lauren Wright are not pictured. 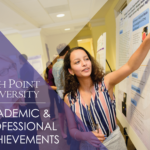 The Zeta Beta chapter of Phi Beta Delta at HPU, the honor society for international students and scholars, inducted eight students and four faculty and staff members on March 27. The inductees are students Nicolas Davis, Samantha Poole, Macketta Johns, Emily Judson, Jun Ke, Hannah Litchfield, Elisabeth Holt and Lauren Wright, and faculty and staff members Chris Ferguson, Dr. Veronica Segarra, Dr. Mark Toole and Scott Raynor. Membership is offered to undergraduate and graduate international students, as well as domestic students who have studied abroad and are involved in international activities on campus. Faculty and staff who have demonstrated outstanding service to the cause of international education, international exchange and internationalization are also invited to join.